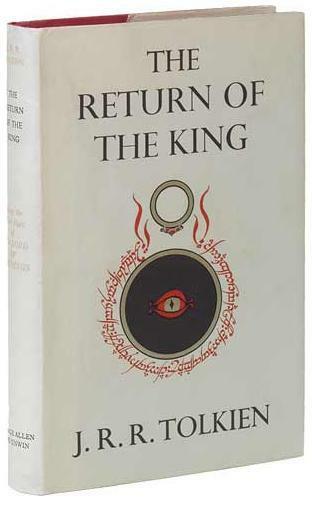 The Return of the King is the third and final volume of J. R. R. Tolkien's The Lord of the Rings, following The Fellowship of the Ring and The Two Towers. 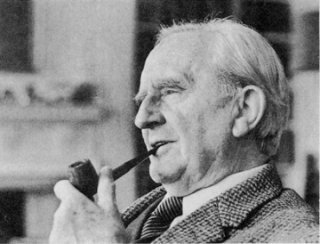 Even though he felt uninspired on the topic, this request prompted Tolkien to begin what would become his most famous work: the epic three-volume novel The Lord of the Rings (published 1954–55). Tolkien spent more than ten years writing the primary narrative and appendices for The Lord of the Rings, during which time he received the constant support of the Inklings, in particular his closest friend Lewis, the author of The Chronicles of Narnia. Both The Hobbit and The Lord of the Rings are set against the background of The Silmarillion, but in a time long after it.